For unto us a Child is born, unto us…..
Stop, stop, stop, stop, this is way too early, although today is Christmas Eve and we, who are living in Germany, will get our Christmas presents already this evening. And why is this? Getting up in the middle of the night (10am! ), running down the stairs and looking up whether Santa Claus has filled your stockings or not, that’s annoying. Especially after you have gone to bed having some glasses of mulled wine and 500 grams of Christmas biscuits (We must not forget to mention the opulent dinner before!). You see it is obviously life-endangering getting up in the middle of the night (10am! ), falling down the stairs and looking up whether Santa Claus has filled the stockings or not, when you are not able to find your pair of glasses or even your contacts! Therefore here in Germany we get our presents before we go to bed, isn’t this great? So we can already play with (or destroy) them, the whole night through! And we don’t believe in Santa Claus, we believe in the Christkind, the one and only! I never get the idea of Santa Claus. This old men, dressed in a fancy red dress, sliding down the chimney (also in the middle of the night). What a mess this must be, I can’t believe that his dress stays red and not black after visiting such an amount of chimneys. Well our Christkind is a little baby and it is not able to clamber onto the roofs, jumping into a chimney spoiling its gold shimmering dress. And not to forget it is a minor, so it has to be brought to bed before 10pm! Now you know exactly why we get our presents already on Christmas Eve. After talking about Christmas presents, I will show you one. To be true it is not a Christmas present in the first place. But it is a gift for a new-born child and his mother. 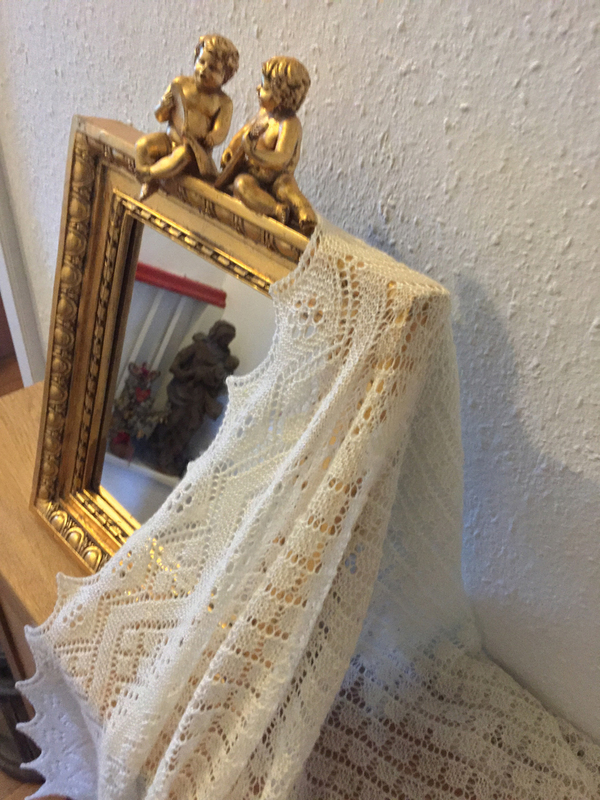 It is the 1939 Christening Shawl by Margaret Stove from her book “Wrapped in Lace: Knitted Heirloom Designs from Around the World”. 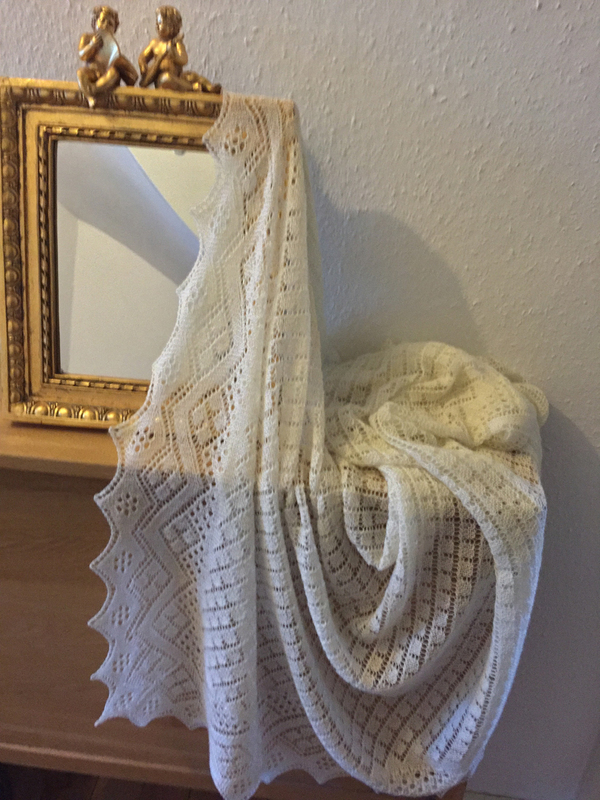 This shawl is a garter stitch shawl and has a clever construction. The knitting begins on one of the corners. After knitting the bottom edge stitches are picked up and the center of the shawl and the two side edges are knitted together in one piece. At last you bind of the shawl by knitting the fourth edge. 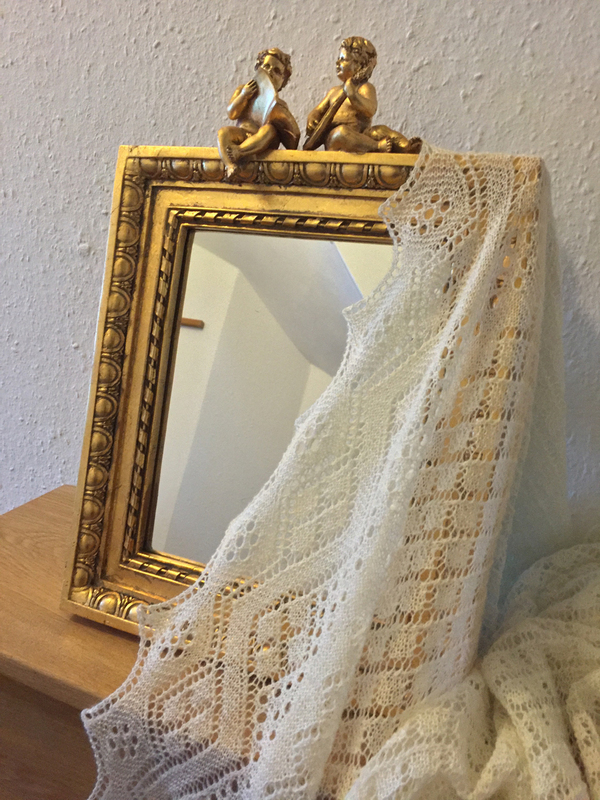 Here are some pictures of the finished shawl. If you want to see the progress of this shawl you may look here on Ravelry. 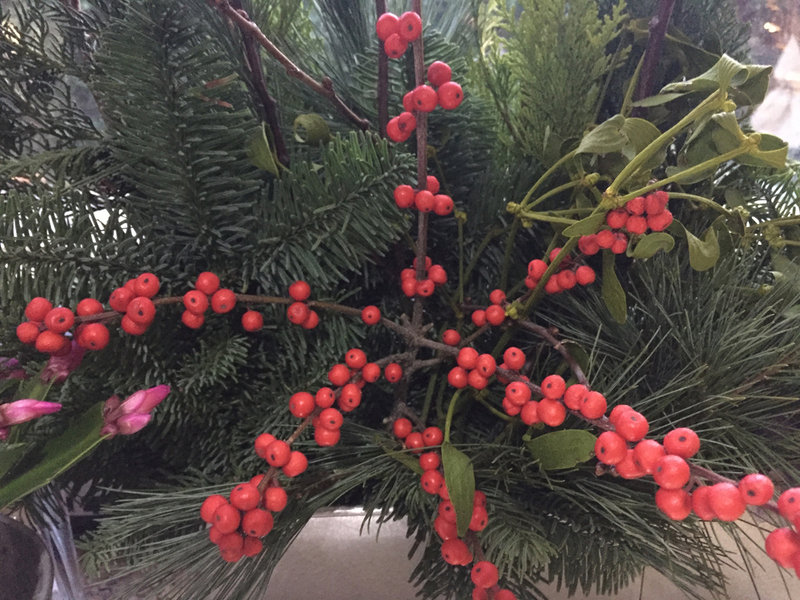 I wish you all a peaceful Christmas time. 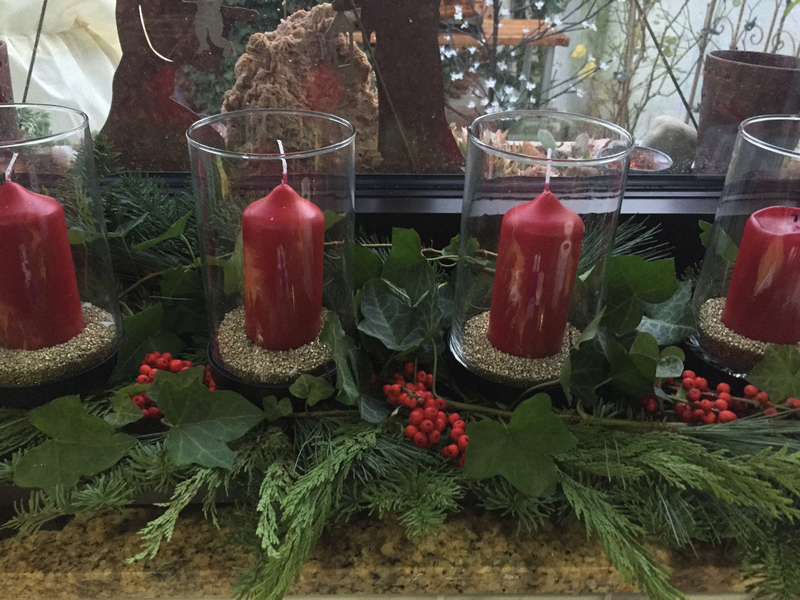 Frohe Weihnachten! And the shawl’s fabulous. Thank you so much. A Merry Christmas and a Happy New Year to you too. 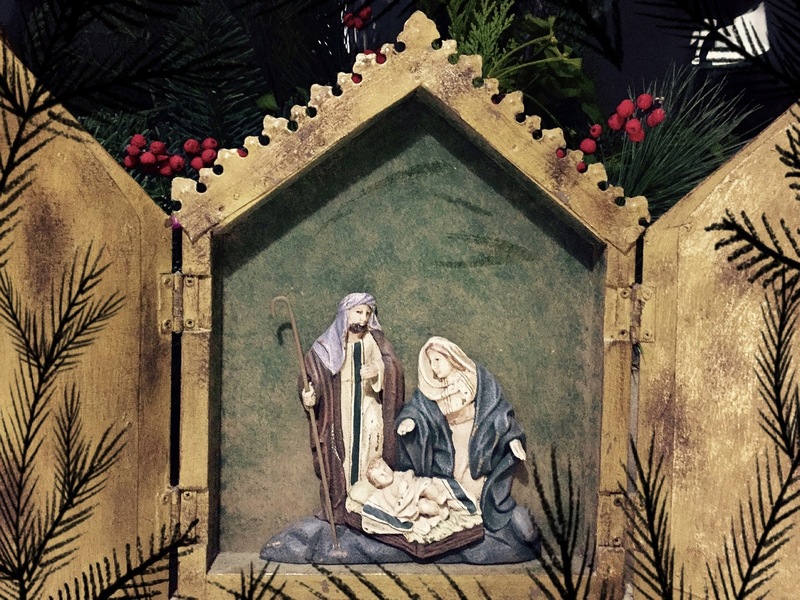 Lovely post – beautiful thoughts on Christmas and the Christchild – and an exquisitely beautiful shawl! Happy Christmas! 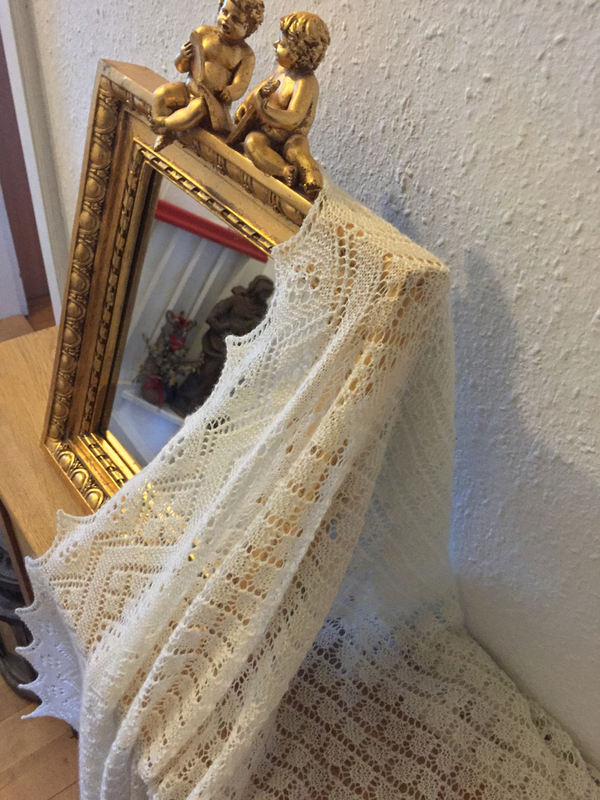 Beautiful shawl, Konrad – Frohe Weihnachten! I am listening to the heavenly music as I write this– A MERRY CHRISTMAS AND A HAPPY NEW YEAR to you and all your readers ! Peace indeed on this earth that He came to save, and may there be many more like you Konrad. 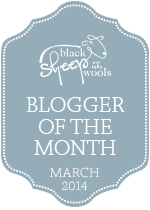 Such a beautiful shawl and such a thoughtful post. Thank you so much, Jennifer. I wish a Merry Christmas and a Happy New Year. I love this tradition Konrad! 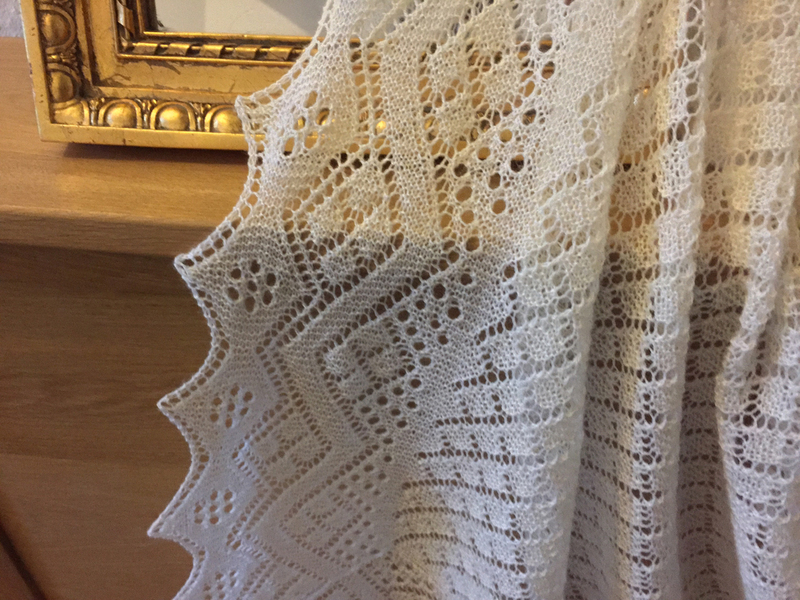 And I love this Christening Shawl! Beautiful work. Raising a glass to you Konrad….Cheers to you and your family for a wonderful 2016. Thank you so much, Anne! I wish you a Merry Christmas and a Happy New Year! post. It was exactly what I needed at this very moment to renew my waning Christmas spirit. You are so welcome! I wish you a Merry Christmas and a Happy New Year, Sara. I won’t be tired to say It is wonderful Konrad! I am dressing it this night to begin the year !